From the moment that Kevin Spacey spoke the famous opening lines of William Shakespeare’s Richard III – “Now is the winter of our discontent/Made glorious summer by this sun of York” – I was hooked. 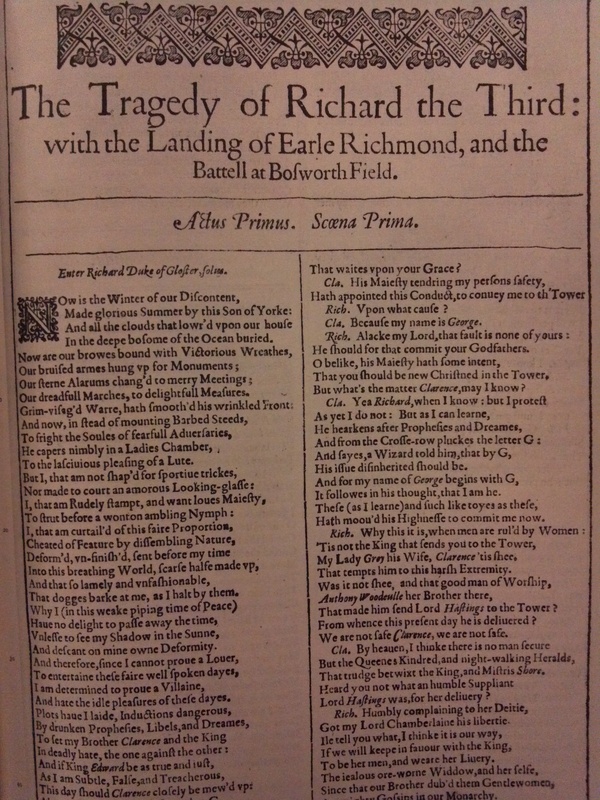 Richard III is my favorite play by Shakespeare, and I’m aware that it isn’t as widely read as his others. So, to recap: Richard is the ugly Duke of Gloucester, complete with hunchback and nasty limp. His brother, Edward, has just become king. He’s dreamy and all the ladies love him. 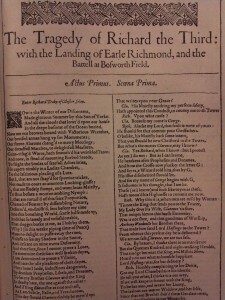 Richard is slightly jealous of his brother’s success, so he decides that “…therefore, since I cannot prove a lover/To entertain these fair well-spoken days/I am determined to prove a villain/And hate the idle pleasures of these days.” Thus, he begins his quest to become king, dispatching everyone who stands in his way. And by dispatch I mean kill. Eventually, he becomes king (the title is a dead give away) by winning over some powerful people and the citizens of London. Then he dies in a pretty sweet battle with the guy who becomes King Henry VII, but not before Richard’s body count is up somewhere around 9 – even Hamlet would gasp at that. So now that you’re all caught up, let me explain why I admired Spacey’s performance. First of all, the guy just gets it. He’s a terrific actor, with terrific control, and a tremendous respect for the theater. 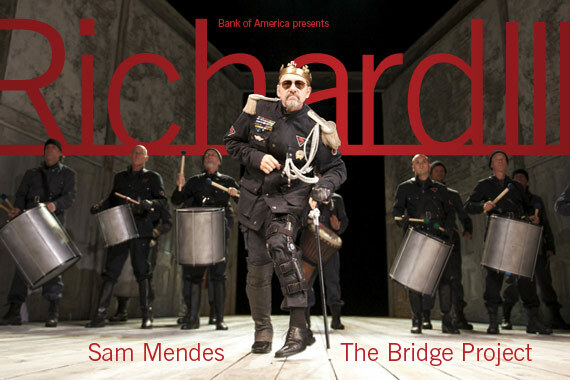 After my first reading of the Richard character, I pegged him as villainous, conniving, intelligent, unlikable individual. That view of him hadn’t really changed in subsequent readings. In fact, I started to admire him for his dedication to the task (of killing everyone in his family). In this age of multi-tasking and short attention spans, something can be said for retaining such focus. What Spacey brought to the character was humor, charisma, and charm, three traits that I would have never applied to Richard. He nailed it. In winning over the citizens of London, he won over the audience. I felt as if I shouldn’t like him – that I’m not supposed to like him – but I found myself rooting for him; rooting for him to kill again, to be king, to win the battles, while simultaneously hoping that I’d never have to live under a ruler like him. It was all very confusing, but fascinating. I’ve always been a believer that villains are far more interesting than the good guys. The life he brought to Richard made me like bad guys even more. Playing villains, directing villains, and watching villains is more exciting. There’s more to work with, more to explore, and since their lives most always end in tragedy, more passion in their actions. Spacey’s performance won over people who were completely unfamiliar and foreign to Shakespeare’s work (like my wife), and people who, even after a complete schooling on Richard III were still a little shaky on it (like my wife), and people who were worried that they wouldn’t understand any of it because of the Elizabethan language (like my wife). Like he does in his other work, he made being bad, cool. And for me, he brought a fresh, new, lively interpretation – one which I believe is incredibly accurate to the role – to my favorite bad guy. 1) Spacey plays a bad guy so well that you can’t help but like him. 2) Shakespeare’s characters are so complex, so deep, so human, that there can be many, many interpretations, provided the actors and directors have a very clear, very in depth understanding of the play, the characters, and the context (making a 400 year old play relevant to a modern audience is tough – but people are still people, and humanity is always relevant, so long as there are humans). 3) Play it big and believe it. This is true for any role. If you don’t believe in what you’re doing, no one else will either. Spacey takes his job very seriously, and you have to respect that. He lived that character for those 3 ½ hours, and there wasn’t a single person in that theater who didn’t believe that they were looking at Richard. How do I rethink bad guys? Simple. We all have many sides, including a devilish side. Villains need to be just as complex and multi-dimensional – and charismatic – as any other character. This isn’t news, but it’s a treat to see it done so well.